With all graduate positions, I think it is important to consider personal development above all else. Knowledge and experience are invaluable assets to any young professional and I felt that Alltruck’s focus on nurturing talent aligned to my own views on wanting to learn. I joined Alltruck in a Marketing Executive role, negating the rotation programme that most graduates are placed on. 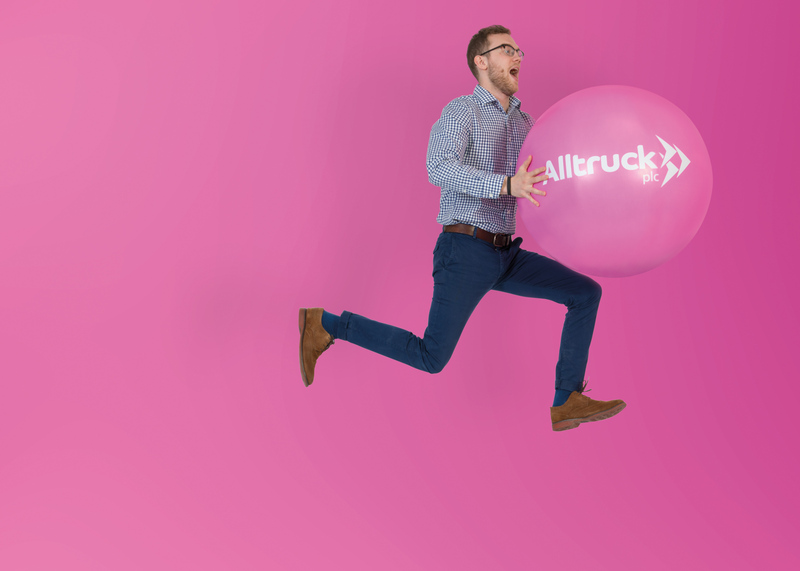 In some ways I feel I have missed an opportunity to fully explore the inner workings of Alltruck but, my heart was set on a career in marketing so it was the perfect fit for an aspiring young marketer desperate to make his mark. Alltruck is a place whereby opportunities are readily available, the caveat being, the ownership is on you to seize them. Working in a Marketing department of two and working on my own for the majority of the week I had to quickly learn how to self-manage, an ability that is key to succeeding in business. I was in a role where I was able to flourish, make decisions but most importantly I was allowed to make my own mistakes in order to continue my personal development. A typical example of opportunities being forthcoming was at the bi-annual strategy week (Pink Week, as we affectionately call it) in November 2016, whereby I was asked to present my findings on a customer feedback study to the Senior Management Team. I thought this was a great chance to make an immediate impact within the business. I was then informed I would be required to prepare for a second presentation! Initially, the prospect was somewhat daunting, but my experiences of Pink Week set me up perfectly for the months ahead. One presentation would have kept me in my comfort zone, two pushed me outside of it. Development is all about going outside of your comfort zone- if you are always comfortable you are never truly challenged. Alongside the day to day workings of a Marketing Executive, I have been enlisted on the Discovery Open Programme and the Leadership Gateway. Both programmes have helped to enhance my understanding of how and why I learn the way I do, but it has also given me the opportunity to enhance my leadership skills. Something which I have thoroughly enjoyed. A personal highlight of this year was my successful submission for the 2017 Motor Transport Awards. The nomination was a great endorsement of Alltruck’s progressive approach to vehicle design alongside our focus of supporting our customers. The Award’s night itself, held at the Grosvenor hotel, saw all tiers of the Alltruck team who were involved in making the project such a success join together for an unbelievably entertaining night. One no one will forget in a hurry! This past month has seen my role as a Marketing Executive transition into my new position as an Account Manager. It is a true reflection of Alltruck encouraging the development of graduates and it once again sees me jump outside of my comfort zone. I have made some great friends during my short time here, Alltruck has a culture where people are at the forefront of the business and it is the people that makes Alltruck such a great place to work. Read more about our employee journeys here.